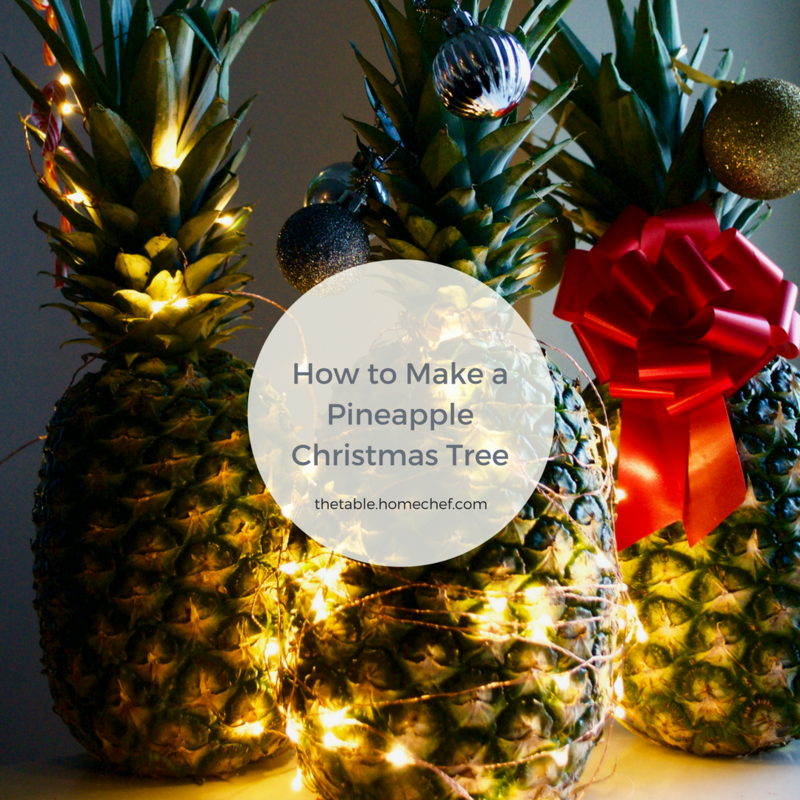 The holidays season is a time when we embrace traditions whether they’ve been passed down by our grandparents or, let’s face it, have been found on Pinterest. Going to the local Christmas tree lot to pick out “the one” may make you question whether it really does exist. As for the city dwellers, most public transportation isn’t fir-friendly, let alone fur-friendly. Embracing traditions doesn’t have to be in the form of dusting off the Christmas decorations box from the attic, but rather, can be about forging new ones. 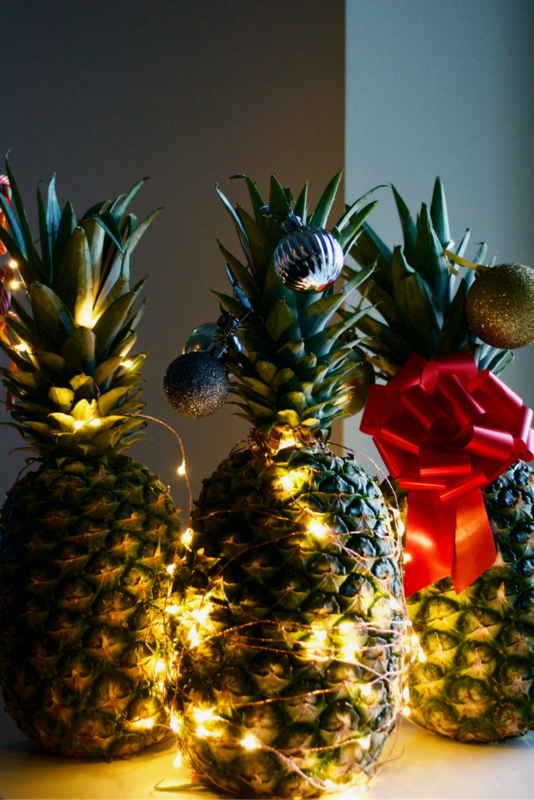 Keep the pine for your air fresheners, and spring for a pineapple Christmas tree. A $3 Christmas tree is definitely a new tradition we can get behind. 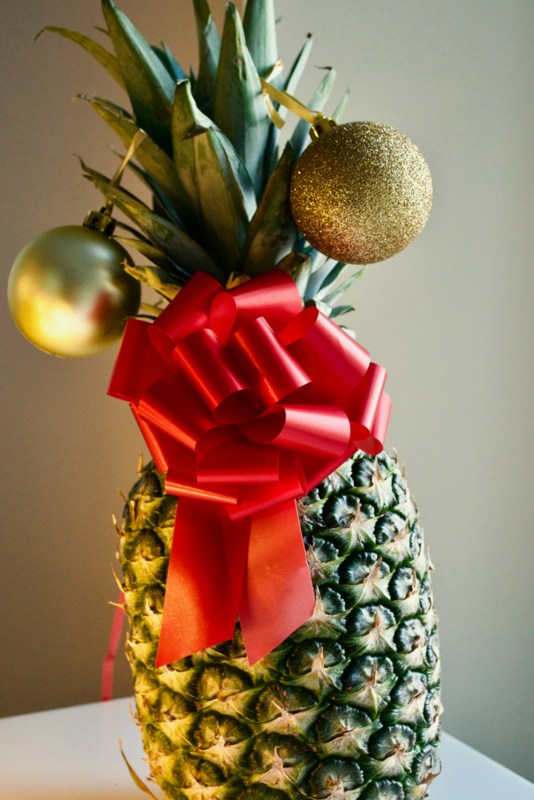 We’re giving you some fun and festive ways to decorate your Christmas pineapple and to take your traditions to the tropics. 1. 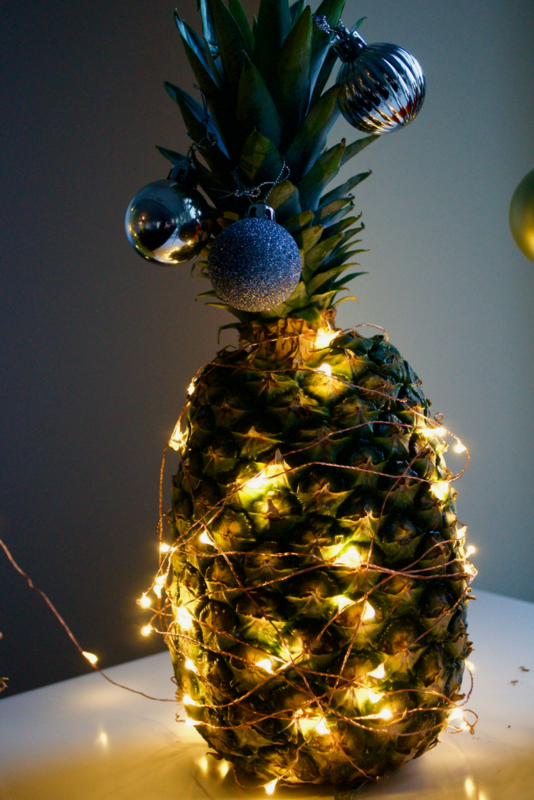 Try copper wire lights, to make wrapping them around the pineapple easier. Top it with your favorite metallic ornaments. 2. 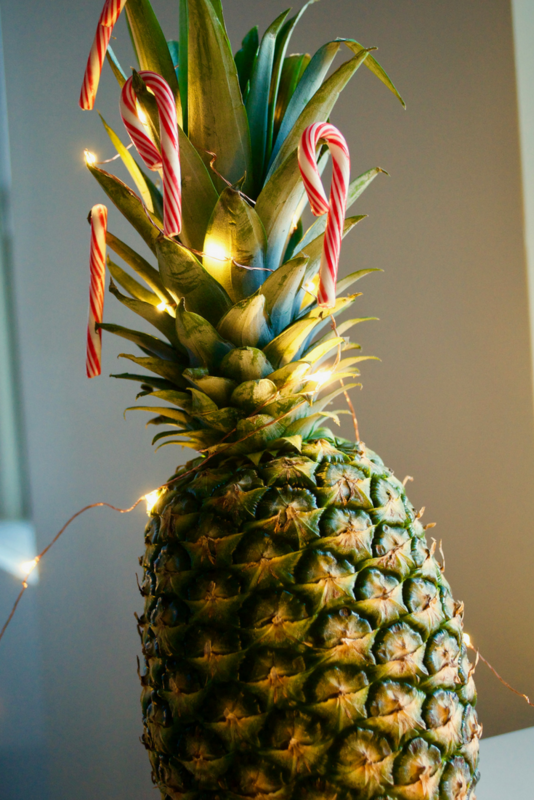 Give it a sweet decoration with some mini candy canes. 3. Stick on a bow, to make it look like the perfect gift. 4. Decorate as many as you want, for a warm weather dream-inducing holiday. 5. 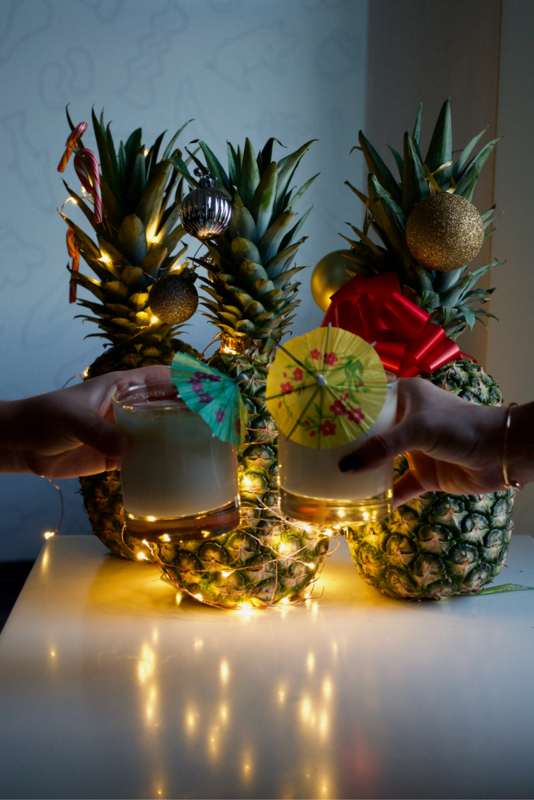 Don’t forget the holiday piña colada. Let’s hope Kroger keeps the prices low. Kroger currently sells something like this at much higher prices and not nearly as good or creative as Home Chef. Can you guys keep your name? It really is the best of all the meal prep companies out there. “Home Chef” just has a really nice “ring” to it! Blessings and all the best in your new venture! Having found Home Chef about year ago and ordering 3 meals almost every week since, I sure hope for us mail order customers it will all stay the same. I fear lower quality, fewer choices, and higher prices with any retail market being involved unless all they do is resell the packaged product provided by Home Chef. Me too! I hope price and quality stay the same! I have had a few issues with the service which they have promptly taken care of. Overall though we have been happy! What do they mean “upon closing”? Will the home delivery service eventually cease to exist? I would hope not, I love Home Chef and live nowhere near a Kroger. That means closing of the merger. It’s a business term. Will the Meals be available at Smiths store or just the Kroger Family stores listed? Umm I don’t like that. The whole point of doing Home Chef was so I don’t have to go to the store. Now you want me to go to the store and pick out a meal? I don’t think the quality will be the same or the price. You can definitely count me out. If I have to go to the store now, I might as well shop like I use to. Oh well on to something else. I hate when companies change things when there was nothing wrong with the process in the first place. I love Kroger but I don’t love this idea. The notice says they will continue the home delivery system this is just an additional way to shop. That’s what they say now but we will see. But it says “Upon closing” which I assumed meant that home delivery would end. Maybe I misinterpreted it. Upon closing the merger. Not closing their service. I am so excited! We live Home Chef the best! Can’t wait to add to my grocery shopping. Please start right away!!!!! I am not real happy with this merger either. The closes Kroger to me is about 25 miles away and is a building that is over 50 years old. It is not very appealing to shop at so I don’t. I have tried a few other meal prep companies and this is by far my favorite. You will be missed. I have purchased from several delivery companies and Home Chef is by far the best for Selection/Variety and ease. I have been using them for over 2 years. Hopefully Kroger’s will offer a larger variety similar to what is on the Home Chef site. I was not so impressed with their current “Kroger” meal perp kits available in store.